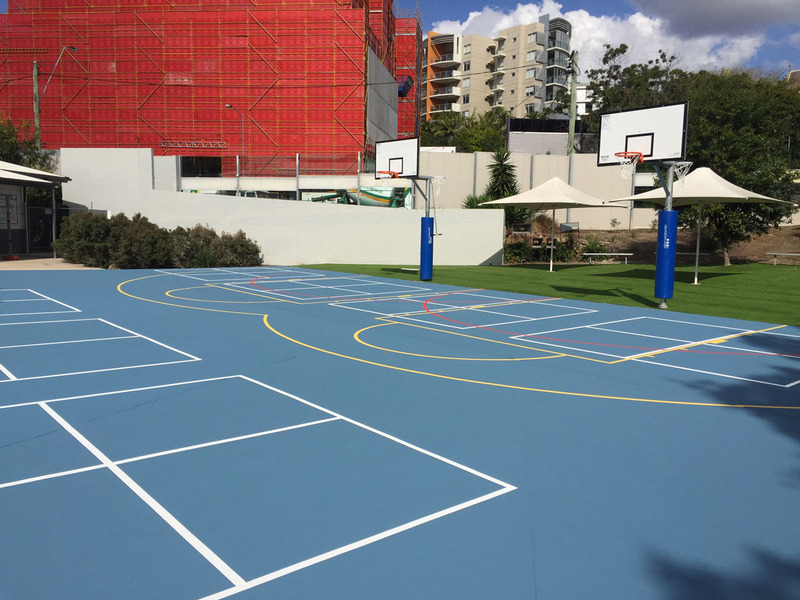 Here are just a few of the many projects Dynamic Sports Facilities has completed for our commercial and corporate clients. 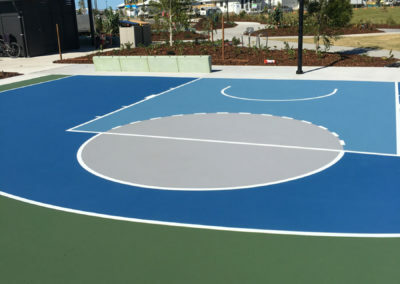 Half basketball court in acrylic paint system, finished with Ocean Blue-Dark Blue, Mid Grey and Moss Green. 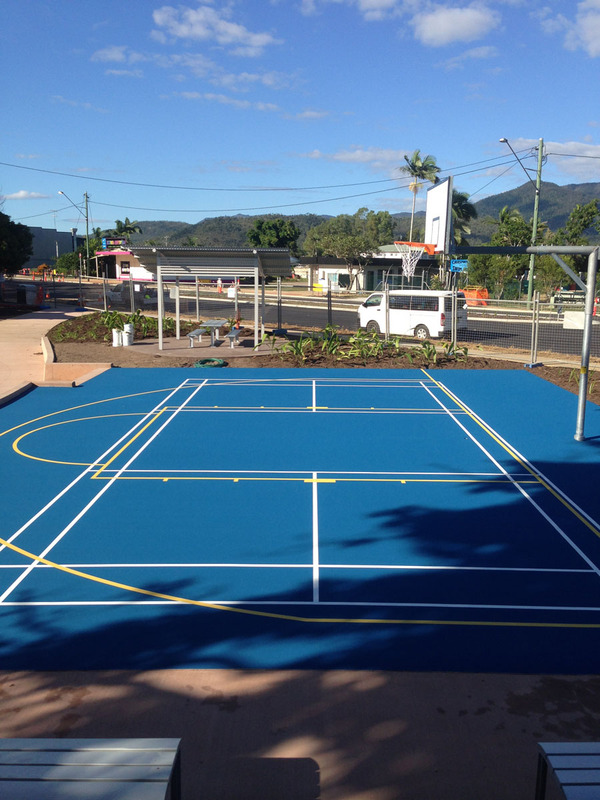 Multi-sport court in acrylic paint system finished in Byron Blue. 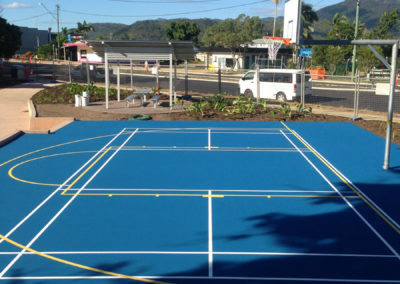 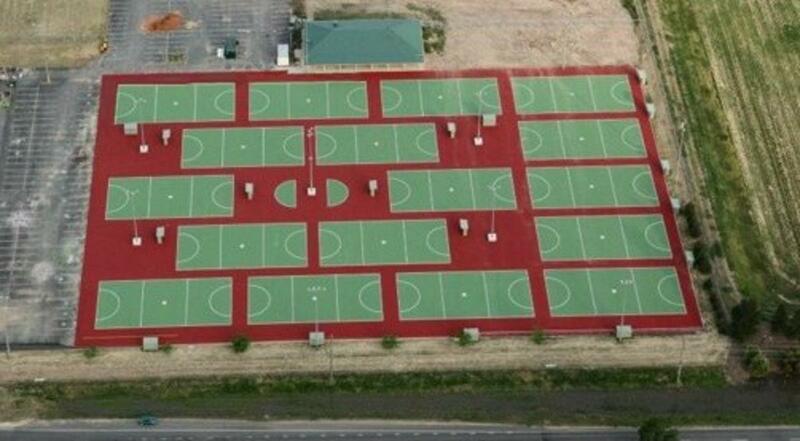 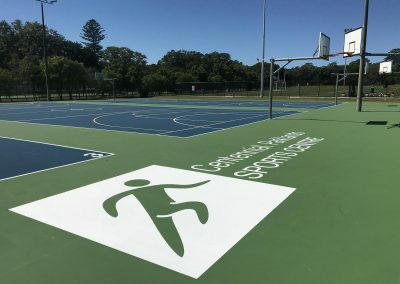 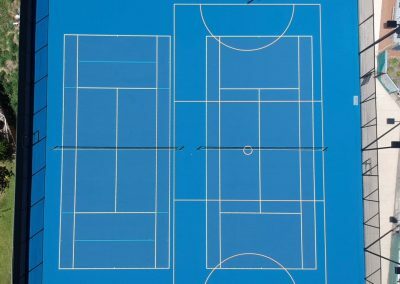 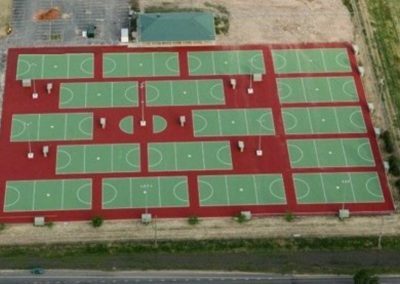 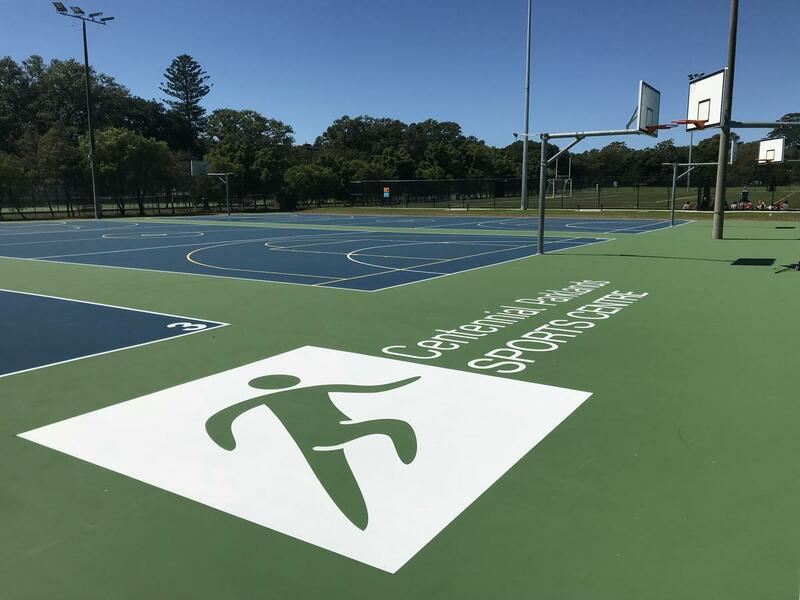 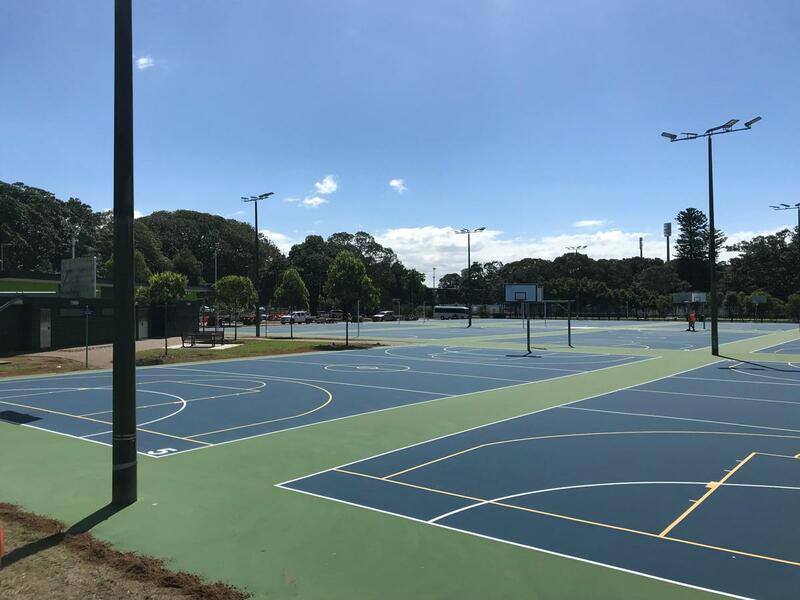 Multi-sport courts in acrylic paint system finished in Dark Blue. 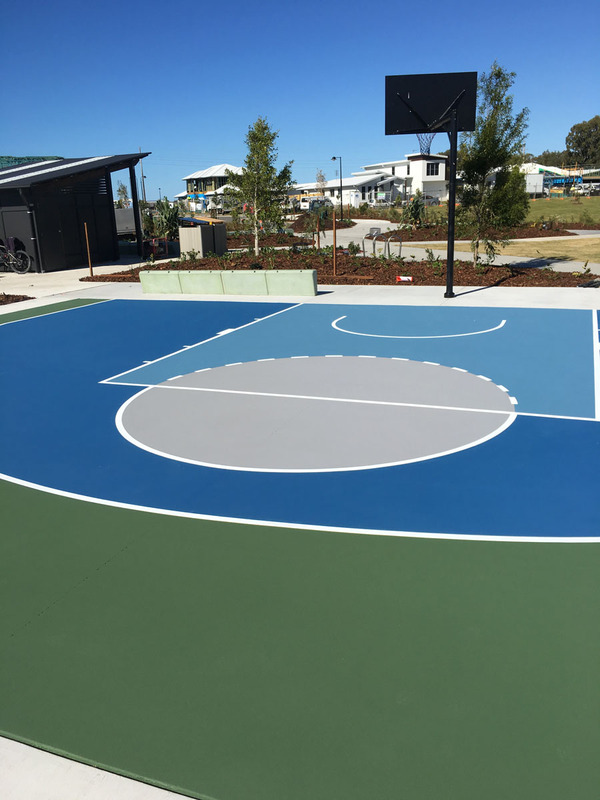 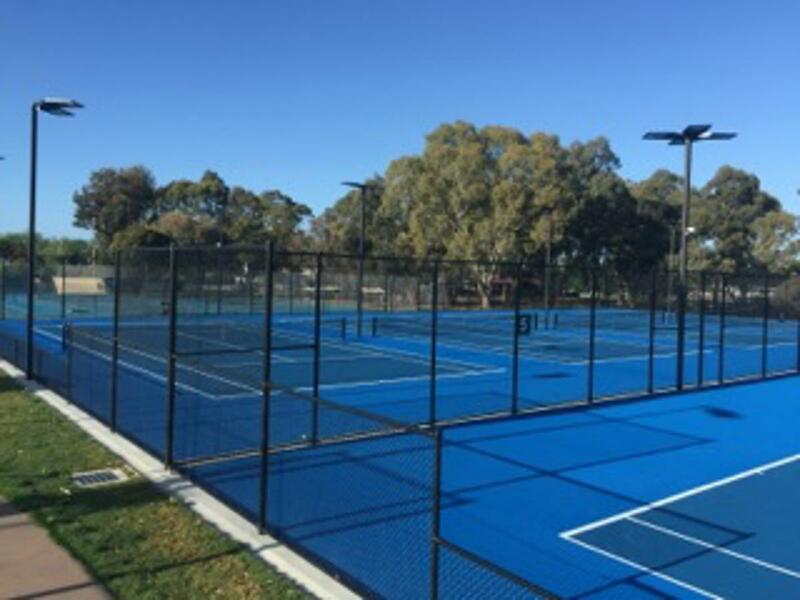 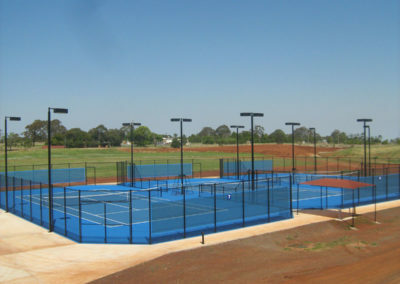 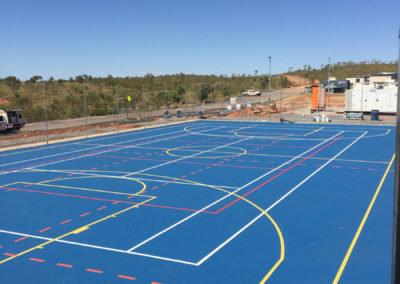 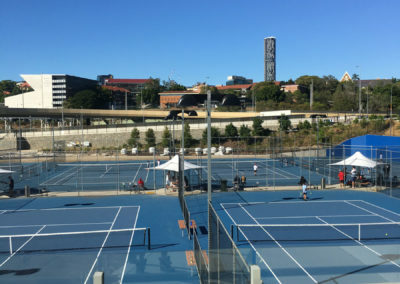 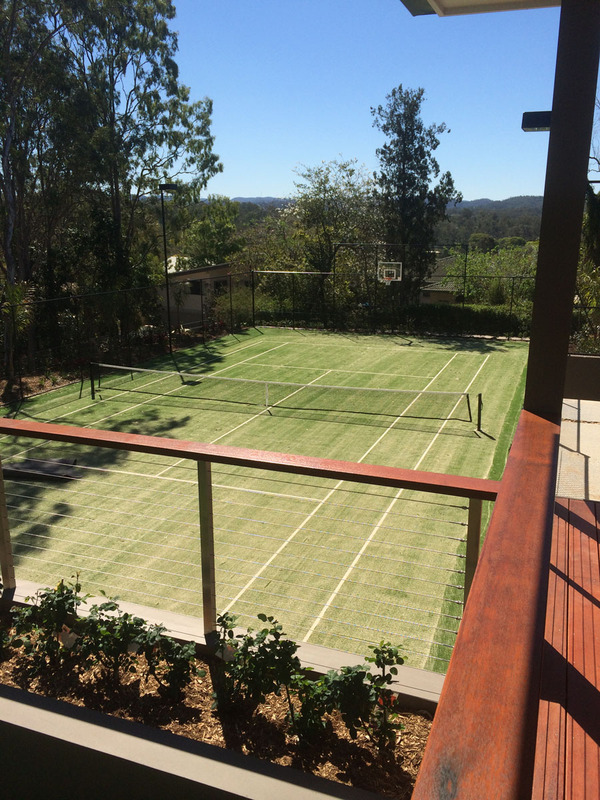 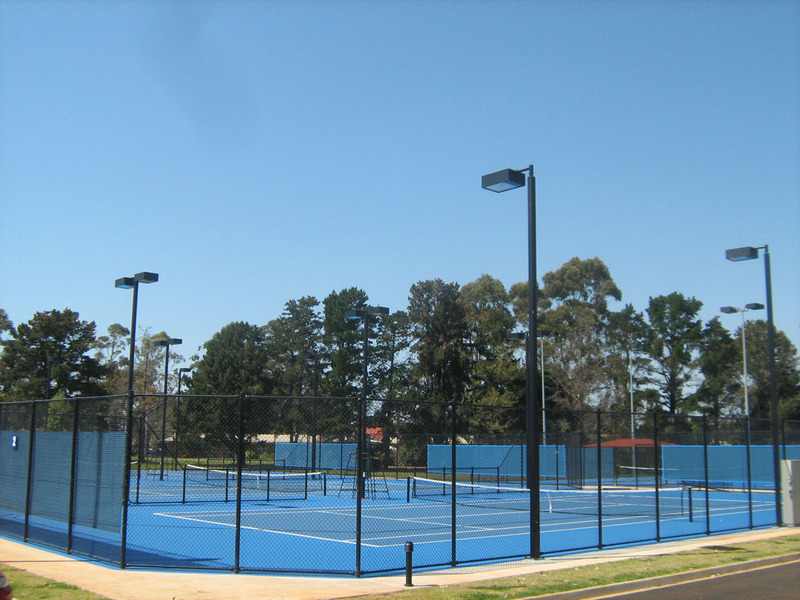 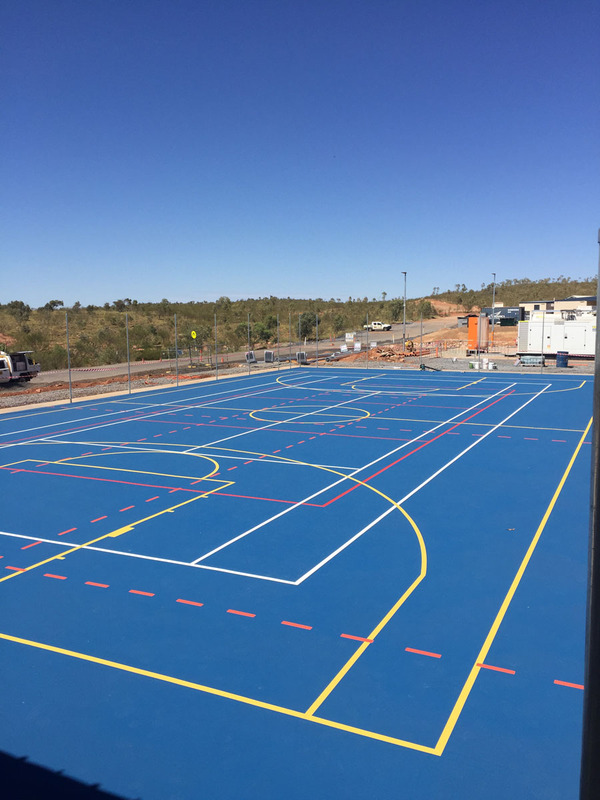 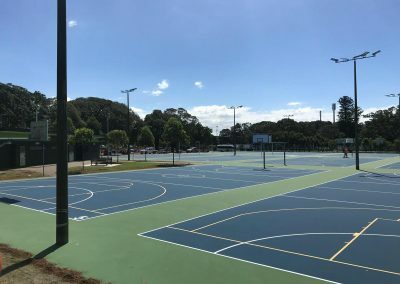 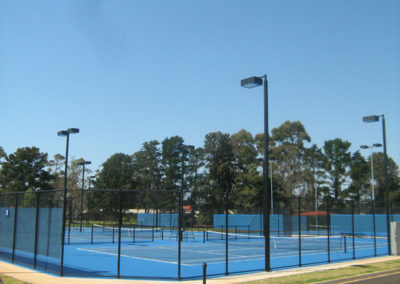 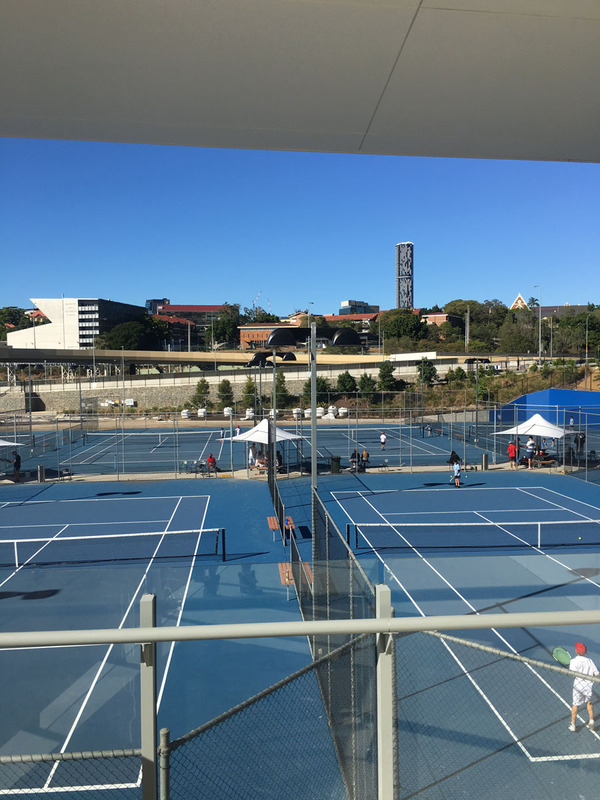 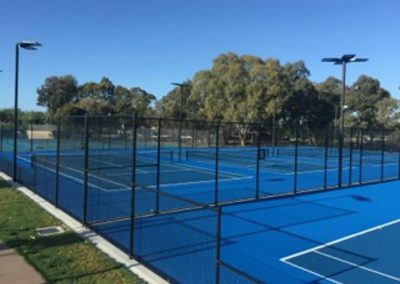 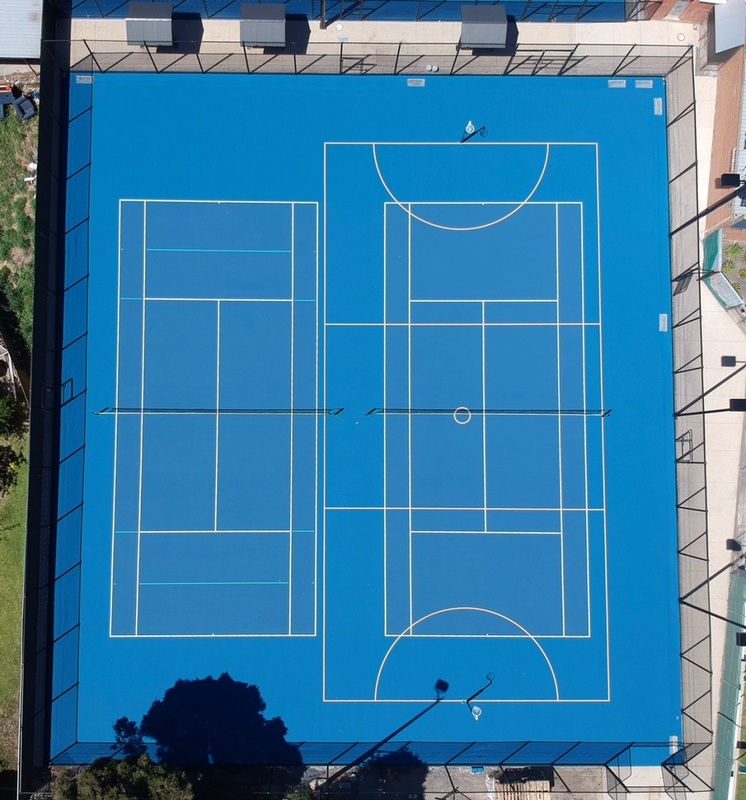 Tennis facility with a Plexipave acrylic system in Australian Open colours – True Blue and Velocity Blue. 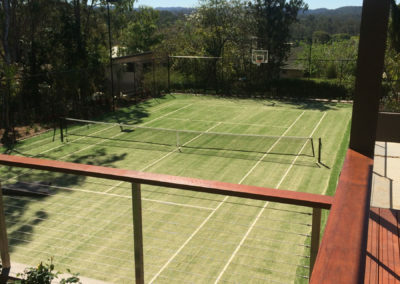 Sand filled synthetic grass court with lighting. 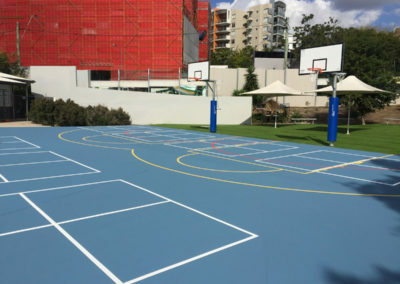 Multi-sport court in acrylic paint system finished with Byron Blue.